The Ligue 1 title remains up for grabs after Paris Saint-Germain's latest humiliation, this time at the hands of hipster favorites Lille. 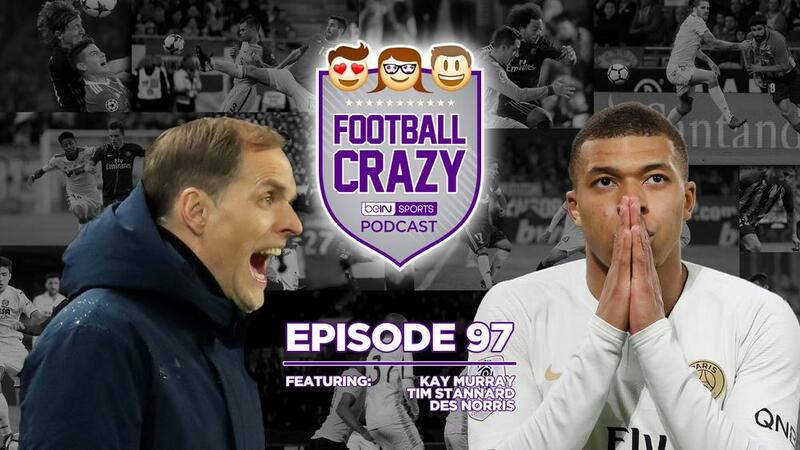 This week’s Football Crazy kicks off with a 'Title Deniers' theme as, even without Choupo-Moting on the pitch, PSG construed to not clinch the Ligue 1 crown, SPAL put a dampener on Juve’s Scudetto procession, and La Liga’s rockbottom side, Huesca, took points off frontrunners Barcelona. Then we turn our attention to the other Spanish top-flight games with European implications, including Sevilla's 'El Gran Derbi' win over Betis and Valencia retaining the local bragging rights over Levante (10:03). A double header of Istanbul derbies leaves the Turkish Super Lig title race between Basaksehir and Galatasaray finely poised (16:46), but not nearly as finely poised as the Premier League steeplechase which saw Liverpool banish the ghosts of Chelsea-at-Anfield past to keep their noses in front of Manchester City (19:05). The conversation then turns to the European hopefuls and relegation battlers in England, Italy and Spain (23:40). We wrap things up by looking over the 2019 AFCON group stage draw, Lyon's ongoing crisis, the weekend's MLS action, Joey Barton's latest run-in with the law, and Power Rankings (33:35).